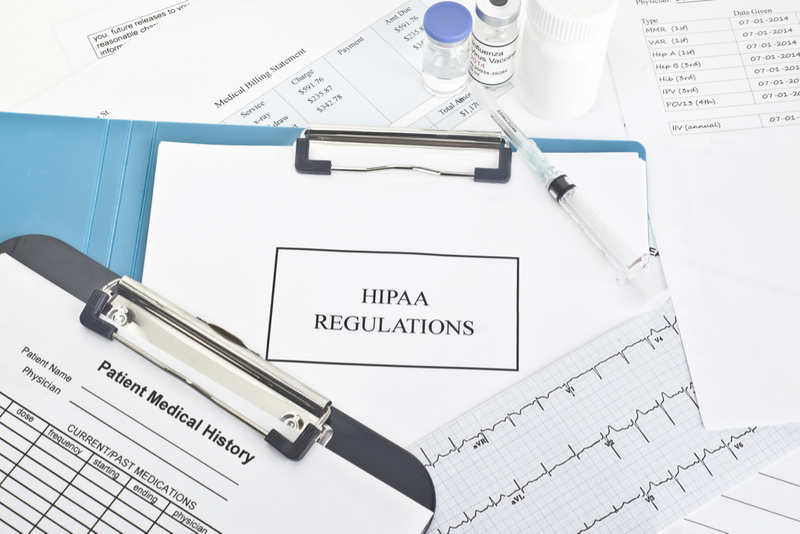 What is HIPAA and What Does it Mean For Your Practice? As a medical professional, your world revolves around the accurate documentation and storage of patient information. After all, without that, how would you be able to deliver astounding care to your patients? 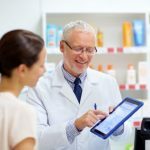 If your practice utilizes electronic medical records (EMR) to access and store patient information, you’re no stranger to the rules and regulations that electronic records involve. We hear it all the time–HIPAA! But do we really understand what HIPAA is and what it means? We’re here to cover all the bases on HIPAA law, what each portion of the law entails, and how it affects your practice’s use of EMR. Since the birth of the electronic medical record back in 1972, advances in technology in medicine have grown tremendously. Now, many practices—big and small—are beginning to implement the use of electronic medical records. And with this jump in technology came a big concern: could technology interfere with the privacy and security of health information? The answer is yes, yes it can. That’s why in 1996, the Health Insurance Portability and Accountability Act (also known as HIPAA) was created. This law set the standard for electronic transactions and the security of patient information. In short, HIPAA was established to improve the healthcare system through privacy and security of information, and Administrative Simplification provisions were put into effect so that healthcare providers were required to comply with the law. In other words, it establishes safeguards on the disclosure of patient information without the patient’s authorization. This is the part of HIPAA that gives patients the rights to their own medical information, even though it’s technically in the hands of you and your practice. HIPAA’s security rule was published in 2003 and became required nationally starting in April of 2005. This is the part of the law that really hones in on the accessibility of electronic medical records. 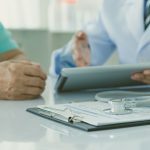 If the privacy rule established the patient’s right to their own information, the security rule establishes the patient’s right to have their information stored (and accessed) securely. Last but not least, the Enforcement Rule. This is the rule that we, as medical professionals, deal with the most. The Enforcement Rule establishes that medical providers (or any health or human service provider) are held accountable for both the privacy and safety aspects of the law. Any violation of the HIPAA Administrative Simplification rules will result in an investigation and possible civil money penalties, jail time, etc.–depending on the breach of data. Through the Privacy, Security and Enforcement sectors of the law, HIPAA works to ensure the Protection of Health Information, also known as PHI. PHI includes names, date of birth, social security numbers, phone numbers, facial photos, insurance info and of course–health care records. As we know, HIPAA establishes a universal protocol for the security and privacy of patient medical information. We also know that it was created as a result of the growing adoption of Health IT–aka, our EMR systems. But what does HIPAA mean for your practice? It’s no secret that electronic medical records pose a large threat to the privacy and security of patients. However, they also add some great aspects to the overall patient experience. With many EMR’s, patients can access their records, schedule their own appointments and more. And for you and your physicians, the uniformity of one database makes it easier to access and input patient records. Something to keep in mind, however, is that your compliance with HIPAA is entirely your own. For example, your EMR vendor can be HIPAA compliant, but that doesn’t mean your practice is. Your practice must enforce its own HIPAA compliance program, in order to be on the safe side. Remaining HIPAA compliant doesn’t have to be a hassle for your practice. By adopting some best practices from the get-go you and your physicians can ensure you’re maintaining the proper privacy and security for your patients. Below are a few best practices to follow. Training your employees to understand and comply with HIPAA is the first step to ensuring your practice remains compliant with the law and its regulations. This means training your staff to both understand how to work your EMR and HIPAA law. This is pretty plain and simple. Your practice’s EMR system should not accessible to unauthorized users. In other words, be sure that you and your staff are logging out of the system anytime you’re not using it. Be sure to store all patient information in a server that is secure and virus free. To make sure this complies with HIPAA regulations, we suggest storing the information in a HIPAA compliant cloud server. Not only can EMRs make HIPAA compliance difficult, but they can also take up a lot of your time. Pairing with a medical transcription company that can transcribe your notes all while integrating into your EMR will ensure your transcription process is HIPAA compliant. Make sure your transcription company understands HIPAA and has the technology to ensure that your data is HIPAA compliant. In all cases, the practice should execute a business associate agreement with the transcription company only. At DataMatrix Medical, we specialize in HIPAA compliant medical transcription services, all while saving time for what really matters—patients. We train our scribes to fully comply with HIPAA regulations and to understand the complexities of medical terminology. If your practice needs an extra boost with EMR setup or implementation, download our free guide The Ultimate Guide To Acceleration Set-Up of EMR to get started today.